The state of Delaware, although small geographically, has enough interesting golf courses to keep yourself busy on the links for many wonderful days. The Wilmington area has 2 courses we can recommend, Delcastle Golf Club, known for being in excellent condition, and Ed Oliver Golf Club, considered Wilmington’s “hidden gem”. Also, you will find many fine courses in Rehoboth Beach and in Ocean View, such as Bear Trap Dunes Golf Club, a 27 hole facility consisting of the Black Bear Course, the Grizzly Course, and the Kodiak Course. Also, don’t forget the Dover area. 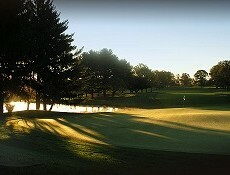 When you go there, be sure and book your tee time through us so you can save money!